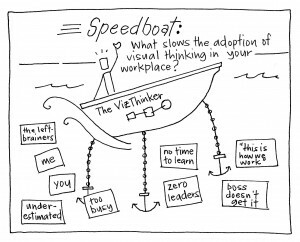 Speedboat is a short and sweet way to identify what your employees or clients don’t like about your product/service or what’s standing in the way of a desired goal. As individuals trying to build forward momentum on products or projects, we sometimes have blind spots regarding what’s stopping us. This game lets you get insight from stakeholders about what they think may be an obstacle to progress. 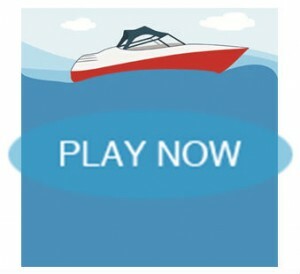 In a white space visible to the players, draw a boat with anchors attached and name the boat after the product/service or goal under discussion. This picture is the metaphor for the activity—the boat represents the product/service or goal and the anchors represent the obstacles slowing the movement toward a desired state. 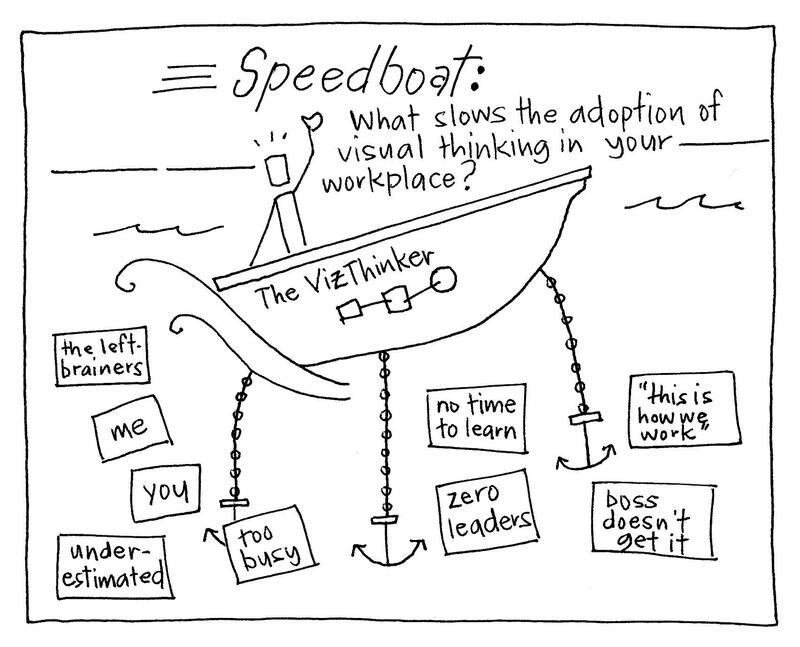 Introduce Speedboat as a game designed to show what might be holding a product/service or goal back. Ask the players to review the question and then take a few minutes to think about the current features of the product/service or the current environment surrounding the goal. Next, ask them to take 5–10 minutes and write the features of the product/service they don’t like or any variables that are in the way on sticky notes. If you’d like, you can also ask the players to estimate how much faster the boat would go (in miles or kilometers per hour) without those “anchors” and add that to their sticky notes. Once they are finished, ask them to post the sticky notes on and around the anchors in the picture. Discuss the content on each sticky note and look for observations, insights, and “ahas”. Notice recurring themes, because they can show you where there’s consensus around what’s holding you back. This game is not about kicking off a complaint parade. It’s designed to gather information about improvements or ambitions, so be careful to frame it as such. Tell the players that the intention is to reveal less-than-desirable conditions so that you can be empowered to move the product/service or goal toward an improved state. That being said, be aware of the fact that many groups have a tendency to move immediately toward analysis of an improved state. They shift into problem-solving mode. However,doing so disrupts the nature of this game play. After the activity, it’s probable that you won’t have all the information or the right stakeholders to respond to the challenges comprehensively. So, if you hear the players critiquing or analyzing the content, gently tell them that problem solving is for another game—try to keep their attention focused solely on description, not solution. Speedboat is based on the same-named activity in Luke Hohmann’s book, Innovation Games: Creating Breakthrough Products Through Collaborative Play. Anchors represent what is preventing your product or service from being as successful as it could be. This metaphorical game can be altered to suit your needs. For example, Jonathan Clark’s Speed Plane uses an airplane instead of a boat and replaces anchors with luggage. Customizing the game will make it more relatable to your business and can result in more valuable feedback.